In the same way Christopher Nolan reinvented the Batman franchise, Bryan Singer has made Superman a relevant movie franchise again. Singer, poised with his co-producers and writers, has brought Superman back from a 19-year hiatus from the silver screen with all the integrity, emotion, action and competency we’ve all come to expect from a comic-book-to-big-screen adaptation. The movie length was pleasantly unnoticeable, initially annoying to me to discover it was a lengthy 2 hours, 37 minutes. The movie’s pace, from galloping action segwaying into emotional sentiment never found me checking my phone’s clock for the redemption of the popcorn stand (read: Pixar’s Cars). The CG was the best I’ve seen this summer, with the singular exception of Pixar’s summer smash. A sequence involving two airplanes coupled together was arguably the coolest cinematic CG sequence I’ve seen this summer, if ever. I won’t go into detail as not to reveal plot or action, but I found once the action had subsided, I had to scoot back into my seat. Another item of interest in this scene was something that I think was aimed at all the space geeks: It APPEARED that Richard Branson was the third pilot in the space ship. Watch for the bearded third pilot with just a few lines. For those that don’t know who Richard Branson is, ever heard of the Virgin corporate empire? I thought it was a very cool add-in to have Branson, who’s currently trying to make commercial spaceflight possible, an Easter egg for those who knew what to look for. 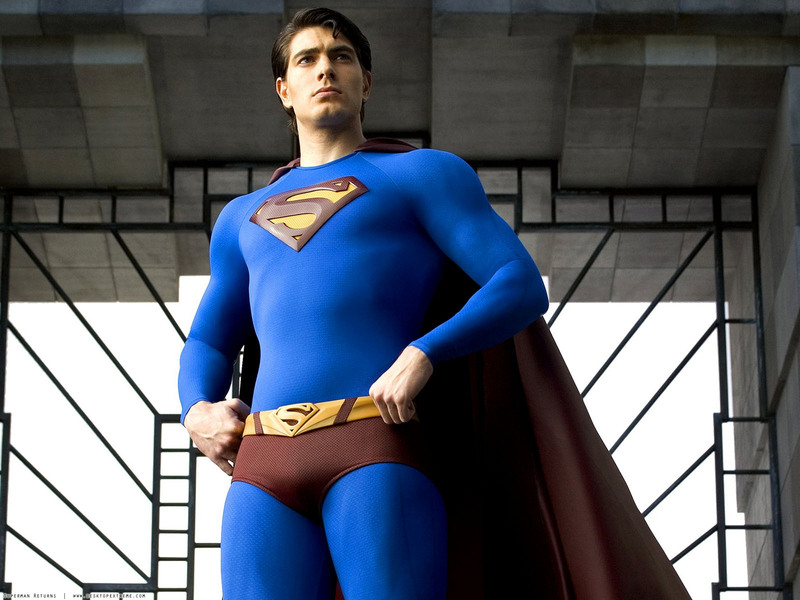 Brandon Routh has successfully succeeded Christopher Reeves as Superman. There’s no questions the “the son has become the father” in this respect. I don’t capitalize the nouns, but I’ll get into that in a moment. I have to say, not knowing who Routh was previous to this performance probably made him more believable as The Man of Steel. That being said, however, I don’t want to downplay Routh’s performance; his kinetic and sure-footed Superman, clumsy, socially underdeveloped Clark Kent and the crazy, bi-polar predicament the world’s greatest man and more endeared alien find himself in. Routh executes with a touch of lovable humility that has made the Superman comic so successful for the last 70 years. I’ve never been much of a fan of Gene Hackman, except for an honorary mention in last year’s fiasco of a book known as ‘A Million Little Pieces’. That same disdain carries into Hackman’s original portrayal of Luthor in the original movies. Comparatively, Kevin Spacey’s humanized, intelligent and distinctly much more machiavellian Lex Luthor was… believeable, but something was lost. I don’t know. Spacey’s performance was even; an exchange between him and Lois Lane was classic Luthor. I just didn’t get the shear evil that Smallville’s Michael Rosenbaum’s Lex portrays. Lex on Smallville is still making the descent into the malevolent, self-serving destroyer of Man that he ultimately becomes. In the process, he loses all that is good to become the ultimate Superman-universe evil. Compared to the Luthor Singer gives us, Spacey’s Luthor is childish, playful yet maniacal. Sinister wouldn’t be a word I would use to describe Lex; resourcefully annoying is more accurate. Kate Bosworth makes a satisfying enough Lois Lane. I wasn’t moved one way or the other, though I don’t think that’s necessarily a bad thing. Her looks were demure, a modest but beautiful and her acting was well enough done; I won’t reveal plot, though her conflict external and internal concerning her feelings for Superman were done with the proper amount of exposition by the other, lighter characters.Jimmy Olsen’s comic relief and dialogue in Act 1 helped jumpstart Lois’ character for us from the end of Superman II, which is what has been rumored to be where this story is supposed to start from. I’ll not comment on James Marsden. I’m not a huge fan, and this guy being a core character throughout the movie made for rather arduous internal grumbling. I wasn’t a huge fan of him in the X-Men series orThe Notebook, so I’d rather not tear into him unneccesarily due to a personal dislike. Now that I’ve segwayed from favorite to least favorite character, I’m going to go into some things I observed about the movie that were… lacking… This section of the writeup may be better suited for you once you’ve actually seen the movie; some of the observations here may and probably will give away plot and plot devices. * I’m going to have to watch Superman II again. I don’t know HOW Lex was able to figure out where the Fortress of Solitude was. * Also, is it just me, or did no one in the movie make the correlation between Clark being gone for five years and Superman being gone for five years? Where’s Clark been this whole time? “Off talking to llamas” wasn’t a good enough explaination. Why doesn’t Jimmy further persue Clark when he steps out of the bar, only to run down the alley and fly off to save Lois? * I believe the sickly little boy that is ultimately revealed as The Son of Superman is being constantly poisoned by Kryptonite somewhere in Lois’ home. * Where is Clark? I mean, seriously? There’s a good hour of this movie where Clark is unaccounted for, and Superman is running around. * There are shots with the airplane that seem to have been left out of the digital effects editing. Given the dense accumulation of all the crystals throughout the water, some of the scenes just didn’t make any sense. * The boy flies the plane up. Pure and simple. His fear kindles a small part of his ability to fly. * Superman is not Jesus Christ. There’s a sequence later in the movie where I couldn’t help but roll my eyes. I understand the director’s message: Superman is the savior of man, back, sacrificing himself to save all of humanity. More important was the aquisition of the crystals that I believe Kitty would have grabbed. The heavy-handed moments of the arms extended hanging-on-the-cross style, followed by his death, and resurrection and the “stone being moved away on its own” was a little more cheesy than I was expecting. Overall I loved the movie. I’ll own it when it comes out on DVD. I don’t write movie reviews, if that’s any indicator of how it moved me. Nothing really now to look forward to in the comic book world for a while except the potential Wolverine series, Ghost Rider, Joss Whedon’s Wonder Woman, and of course, Spider Man 3!